Orford Castle was built along the Suffolk area of King Henry II in the mid to late 12th century. Today the castle towers over the little town of the same name are located about 20 km northeast of Ipswich. The foundations of this unique architecture with its castle were made in 1165 to nearby marshes and swamps that were drained, which provide perfect protection for the fortress and turned the village into a sheltered port. At that time the royal revenues amounted to about 10 000 and construction of Orford cost 1413 Great British Pounds. The main purpose of fortification in Orford was to prevent the threat of coastal invasions. When the Orford Castle was completed it was surrounded with several flanking towers and one door locked between two smaller watchtowers. The firewall aided for protection of inside the massive central tower. Of course, as most protective the towers at that time it had the external firewall that had been excavated and a large ditch, which provides additional security against attacks. 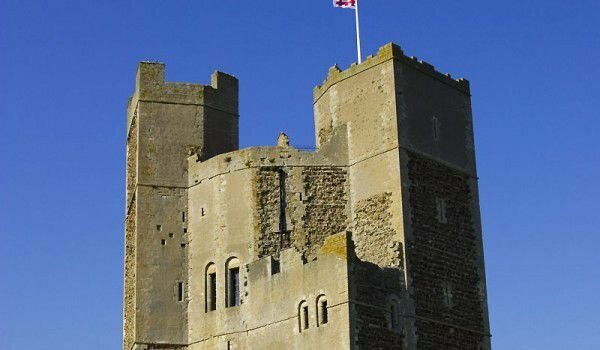 Notwithstanding the sound works of Henry II in the following centuries of neglect, Orford is why today it is not maintaining any part of the entrance door, firewall and accompanying towers. Still, although quite alone, the great tower rises from the original type of Orford. Itself of its design and architecture are unique because nowhere else in England or Ireland will have maintained such buildings. It is a cylindrical tower, incorporating three smaller towers of up to about 27 m in height, which are symmetrically positioned. This structure is remarkable for no other reason but because it allows the presence of 21 targets to monitor the position of surrounding lands. Orford is the entrance of the southeast, and its height reaches approximately the size of the tower. When you look inside of Orford it is immediately clear that it was built as a place for the king and his family to live. Each tower has a wrapped staircase leading to the upper rooms. The complex structure of the tower is built on five floors. Orford is still considered one of the best preserved forts of 12th century on the territory of England.